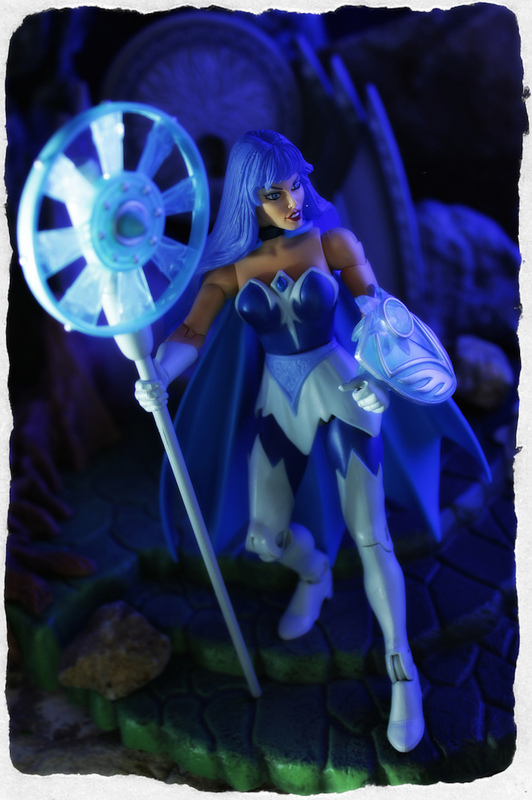 The beautiful and exotic friend of She-Ra, Mackenzie is queen of the kingdom of Snows, high in the mountains of Etheria. She possesses a magic wand that whistles like the wind and lets her conjure ice spells and freezing rain against her enemies. 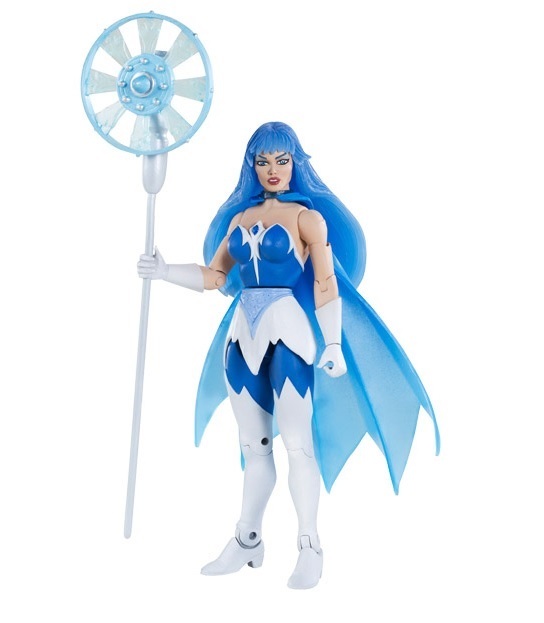 This power has given her a reputation as the Ice-Empress of Etheria, although she prefers being called Frosta by her friends. Wish the exception of her magic powers, she is otherwise a normal human females. She is sweet kind and loyal to her allies. Together with She-Ra and other members of the Great Rebellion, she traveled through a Laser Gate into Eternia joining with the Renegade Masters of the Universe in the continued fight against Hordak’s tyranny! 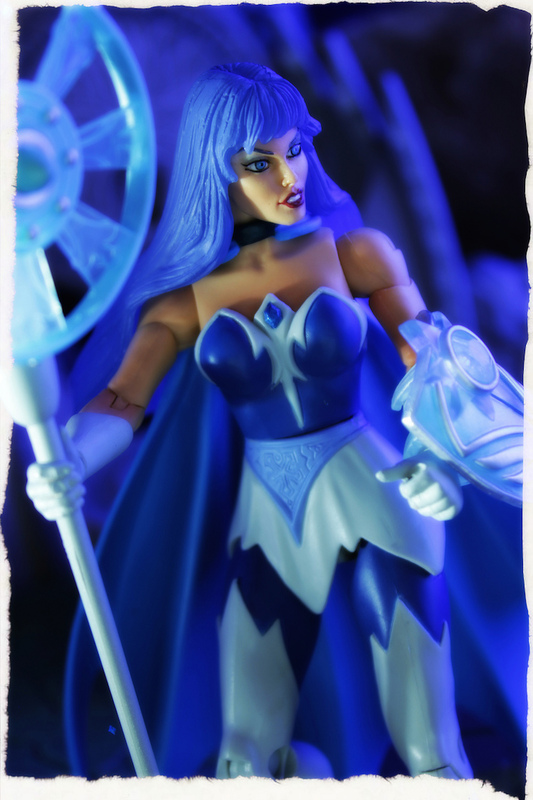 Frosta freezes her enemies with her magic spells.